In the renowned translation by Edward FitzGerald, with an introduction by Professor Cedric Watts. 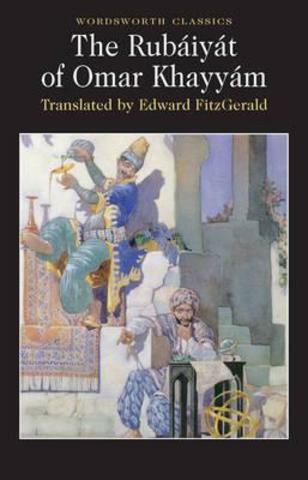 Here is Edward FitzGerald's original translation of the Rubaiyat, the collection of poems attributed to the Persian astronomer and mathematician, Omar Khayyam. FitzGerald's distinctive version (1859), with its oriental imagery and sensual warmth, made an exotic appeal to the Victorian imagination. Its scepticism fitted a time of increasing religious doubt- its romantic melancholy resonated with the writings of Matthew Arnold and Thomas Hardy- and its epicureanism heralded the Aesthetic Movement. It has inspired composers, rock groups, artists and film-makers. As rendered by FitzGerald, the Rubaiyat remains a seductively subversive poem.